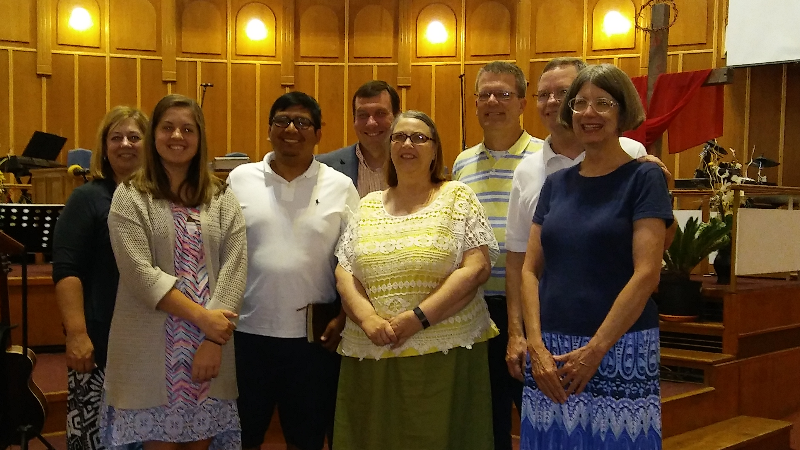 This past July Buck Run Baptist completed its 23rd consecutive mission trip to Romania. Buck Run has been going over to Eastern Romania since 1994. Dr. Don Farley led the medical team that saw and gave witness to over 300 folks in Jesus name. Susan Jones headed up the children’s team that shared the gospel to over 125 children in the four villages outside of Braila. Former Buck Run pastor Jeff Pennington headed up the evangelistic team. The team consisted of three Buck Run folks, three from a Georgia church, and two from an Alabama church. Braila is located on the Danube River in the eastern part of Romania. Each mission team addressed medical issues, gave out reading glasses, and shared VBS Bible stories. In each team area the gospel of Jesus Christ was shared and each person was touched with Jesus love. The local RAM pastor has names and addresses to follow up for further gospel discussions. Buck Run founded he Romania American Mission or RAM in 1994. RAM supports over 45 indigenous pastors, mainly in eastern Romania. However with God’s guidance and blessings RAM now has mission pastors is four western European countries in addition to Romania. This year the mission team visited and worked in four of the RAM pastor’s villages giving the pastors support and encouragement. How can I pray for the Romania American Mission? Pray that the seeds of the Gospel that were planted on this trip will grow into salvation. Pray that new churches will continue to be planted across Romania. How can serve the Romania American Mission? Begin to pray now about going to Romania next summer with Buck Run.